A mee pok stall that transforms into a Japanese bar at night. 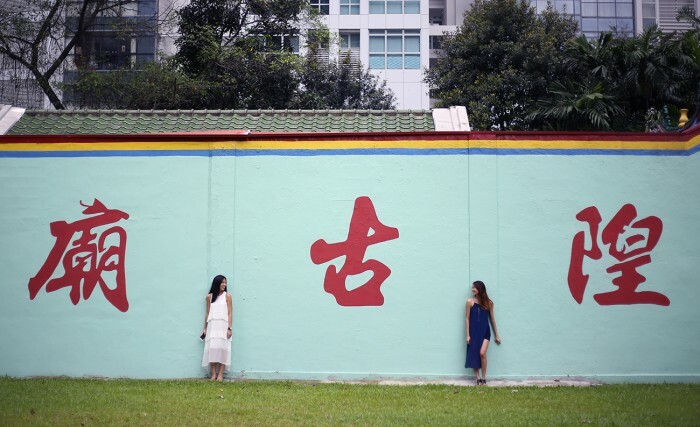 A gram-worthy backdrop at a temple wall. 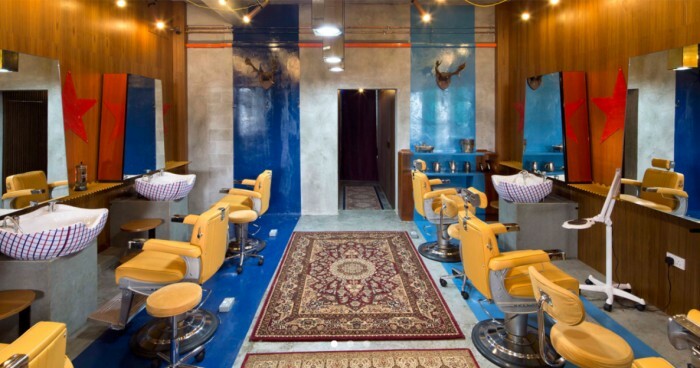 A superhero-themed barber. We all have a love-hate relationship with the Central Business District (CBD) in Singapore. Perhaps more hate than love for some, with it being a place you drag yourself to every morning, slog your afternoons away at, and can’t wait to scram out of when evening comes. Truth be told, there’s actually so much more to the CBD than office spaces and food centres for your lunch breaks – chew on live octopus, check out how a Mee Pok stall transforms into a Japanese bar at night, and have a one-of-a-kind tropical staycation at Oasia Hotel Downtown, just to name a few. Here are some secret hunts in the area you may or may not have heard of, and who knows? They might just be the answer to the whole work-life balance thing you’ve been trying to achieve. ‘We Need A Hero’ provides hair grooming services not just for the locks on your head, but also for your brows, moustache, back, underarm and, really, any part of your body with hair follicles. Can you believe that these two eateries are essentially the same place? One’s a 70 year-old kopitiam with an old couple selling classic bowls of Mee Pok as well as Kaya Toast, the other’s a contemporary Yakitori bar-style bistro with a Japanese chef serving up Omakase sets and Sake. 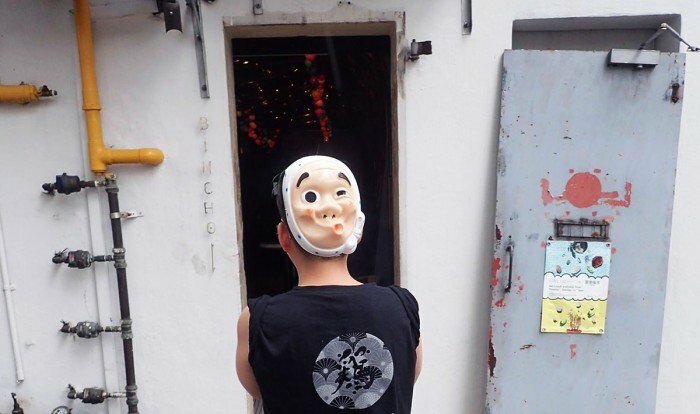 This intriguing dining concept is none other than Hua Bee / Bin Cho. In the day, Hua Bee takes the space as a very much localised coffee shop, and when dusk falls, the space transforms and Bin Cho comes alive. Conceptualised after the Yakitori stalls in Osaka, which are characterised by their small roadside setups, Bin Cho is headed by a Hyogo-borned chef and has a dynamic menu which changes daily. Oasia Hotel Downtown is a building you’ve definitely taken notice of – especially if you work in the Central Business District! If you’ve always admired it from afar (like how I used to), let me tell you, this towering hotel is one that you have to check out in not just from the outside, but from within. Beneath its iconic foliage-draped exterior, this tropical skyscraper is a restorative enclave that makes a perfect staycation choice to rejuvenate any worn-out soul after a gruelling work week. We totally feel ya on that. 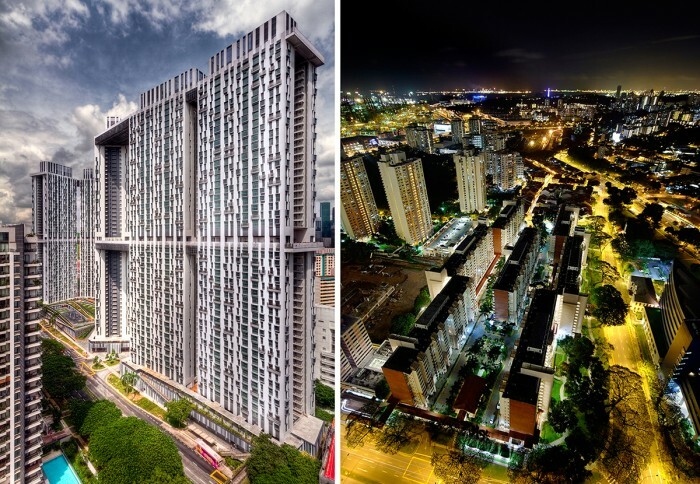 Plus, it’s located right in the heart of Tanjong Pagar! The hotel is truly an unhurried respite in the midst of our bustling hub. 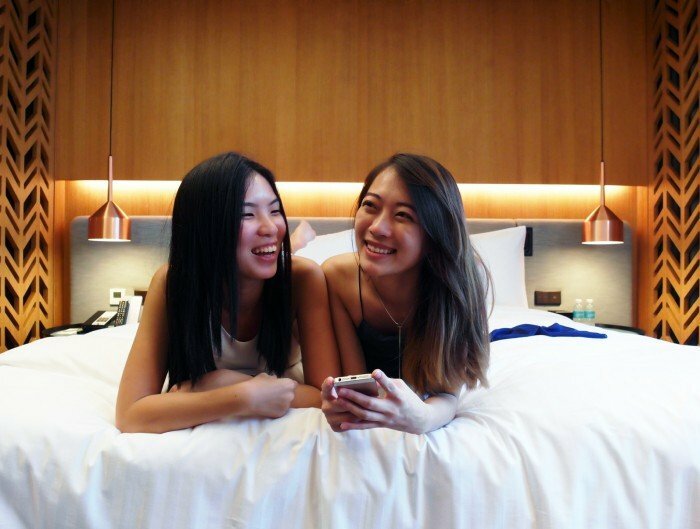 Whether you’re celebrating a long awaited T.G.I.F with your colleagues, a cosy birthday party with your closest girlfriends, or simply a romantic weekend staycay with your other half, Oasia Hotel Downtown is a hotel you can trust to deliver a top-notch staycation experience. STAYCATION DEAL ALERT: GET THE LOWEST PRICE ONLINE! 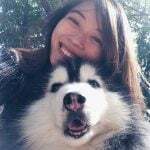 Sick of going to multiple websites just to source out the best deal? Fret not, WE'VE GOT YOU COVERED! Plan ahead & book early to get 35% off! And if you don't believe us – if you find a lower price anywhere else, you can get a refund AND an additional 15% discount! Not sure what to expect? Find out everything you need to know (and more!) about having a staycation at Oasia Hotel Downtown right HERE. If you’re one of those who thinks ordering from a menu is typicale , the mixologists from Bar Stories will wholeheartedly agree with you on that. Instead of ordering from the usual list of cocktails, have a conversation with the bartenders on how your palates are feeling, the type of ingredients you fancy, or even how you want your cocktail to be presented. And voila, an unprecedented (and absolutely gram-worthy) glass, or sometimes pot, or flask, or tin can, of cocktail will be served up! 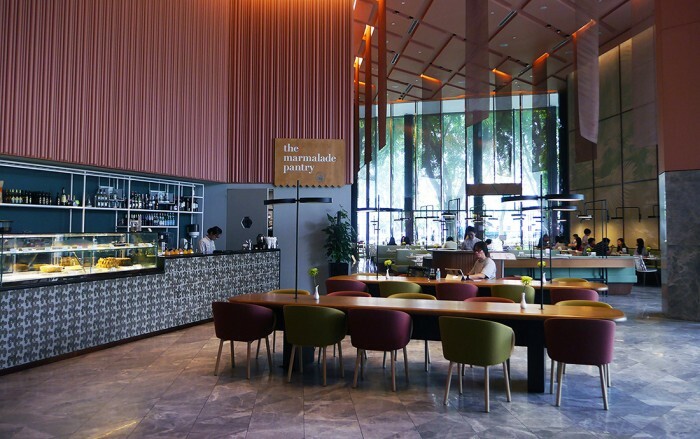 The Marmalade Pantry is one of the first cafes to make an appearance in Singapore’s cafe scene, and offers a chic bistro with an extensive menu that never disappoints. Its newest branch is nestled in the lobby of Oasia Hotel Downtown, and makes the ideal spot for a lunch meeting, a hearty post-staycation brunch, and basically any dining occasion that you can imagine. Make sure you try their crowdpleaser dish – the Lobster Risotto – when you’re there for a meal. 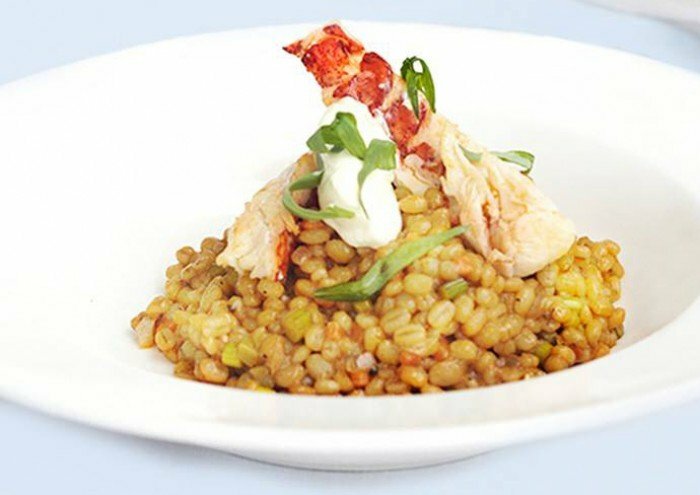 It’s in a different league from your usual Risotto, as The Marmalade Pantry has brilliantly paired the lobster broth with barley grains instead of arborio rice. Not only does that make it that much more yums , it’s packed with more nutrients too! There are too many dishes you have to satiate your palates with at The Marmalade Pantry ( Sticky Date and Toffee Pudding, Smoked Salmon Hash and Miso Lobster , just to name a few), and one visit is just not going to suffice! Now, you don’t have to fly to South Korea to have a taste of this squirmy goodness! 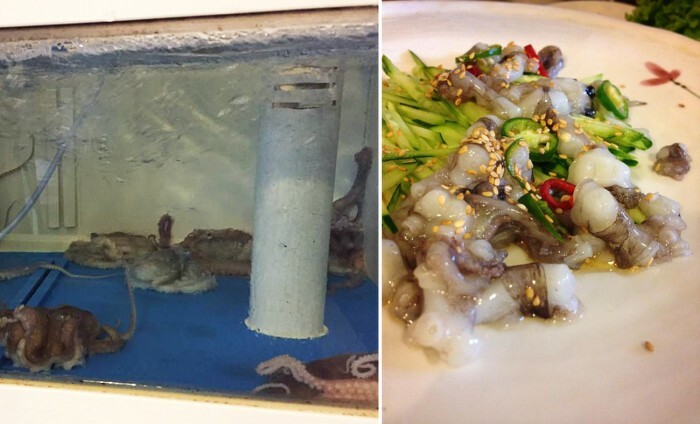 Conveniently located in downtown Singapore, Sojap Neun Eobu is a Korean restaurant which serves up Sannakji (live octopus) amongst many other Korean delicacies. Chong Wen Ge is a true-blue Peranakan cafe that even your self-proclaimed foodie friends might not know about. 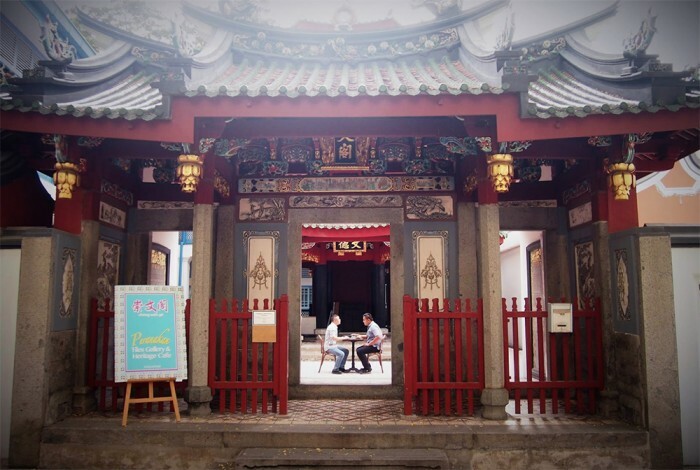 Housed along Telok Ayer Street, this overlooked gem is a part of the Thiam Hock Keng temple complex and is all about defying the norms of cookie-cutter cafe food such as Egg Benedicts and Charcoal Waffles. Instead, the ingenious ‘uncles’ behind Chong Wen Ge promise their patrons an authentic Peranakan experience - from the Sambal Pomfret down to the intricacies of its floor tiles. CIN CIN, aptly named after the sound of wine glasses clinking together, is a classy bar which specialises in gins. It carries over a whopping 100 labels of gins, from classic boutique ones to gin-inspired cocktails, to your very own customised versions of Martinis, Gins & Tonics. 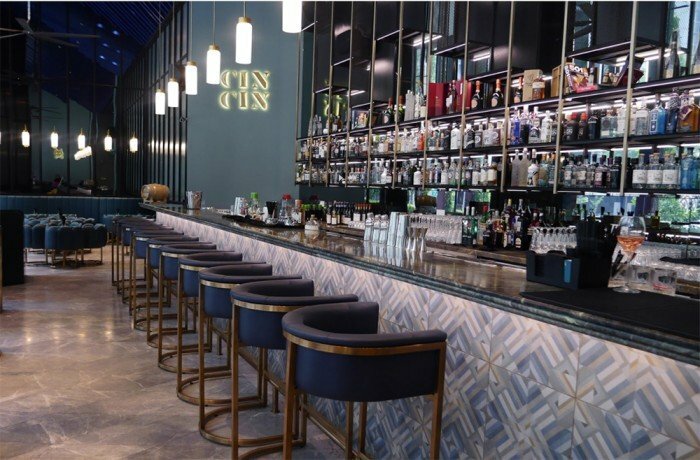 The drinks are not the only highlight here; CIN CIN’s interior is dripping with retro-glamour vibes and we were thoroughly in love with every inch of its decor – from the floor-to-ceiling glass panes down to the classy marble and cobalt countertops. And if you’re an Oyster fan (seriously, why wouldn’t you be? ), heads up! 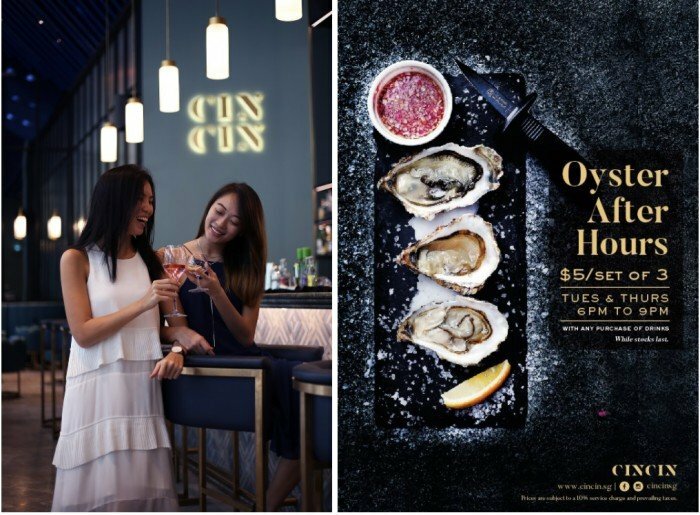 CIN CIN’s Oyster After Hours promotion serves up a platter of three Oysters for just S$5. Oysters to pair with your drinks? Sounds absolutely perfect to me. CIN CIN is located at the lobby of Oasia Hotel Downtown, just a 30 seconds walk from Tanjong Pagar MRT – convenient enough for you to polish off a couple of G&Ts before you head back to work to tackle the Monday blues. Tucked away in Singapore’s hipster enclave i.e. the Tiong Bahru estate, Curated Records is an independent records store with a wide selection of vinyls – from that of the latest radio hits to releases from independent artists you haven’t chanced upon. Following the expired craze of drenching everything with salted egg yolk, there seems to be a new Chirashi Don wave that everyone is surfing on, me included. I chanced upon Hanare Cafe, a quaint Japanese joint at Tanjong Pagar Road and, as much as it mildly kills me to expose it, it’s a deal too good not to be shared! Priced at just S$17.90 (nett!!!! ), a bowl of Chirashi Don here comes with a free flow of side dishes, drinks and rice. It’s also the sister branch of Teppei, which is known for its ludicrous 6-months waiting list. Cheaper, AND a much shorter wait. What are you waiting for? [email protected], or more colloquially known as that HDB that puts yours to shame , is an iconic member of the sea of skyscrapers lining the the Central Business District. With its 50-storey frame towering over the rest of its neighborhood, [email protected] doubles up as an incredible sightseeing spot which is actually open to the public! Bet you didn’t know that the 50th Storey Skybridge is actually accessible for just S$5, and boasts an unrivalled panoramic view of the city scape. There you have it – the CBD in Singapore isn’t just a district you make all your mad morning rushes to. Look beyond the office spaces and hawker centers, and you might just stumble upon another undiscovered jewel to add on to this list.